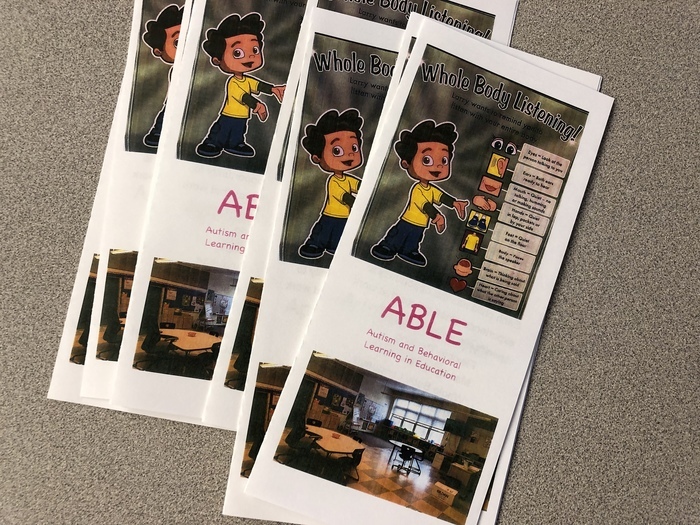 RSU 12 staff members Chris Abate, Anne Billings, Cindy Woodside, and Adrien Lemar took school board members on a "field trip" through the ABLE program and demonstrated how staff support students with autism and behavioral needs. 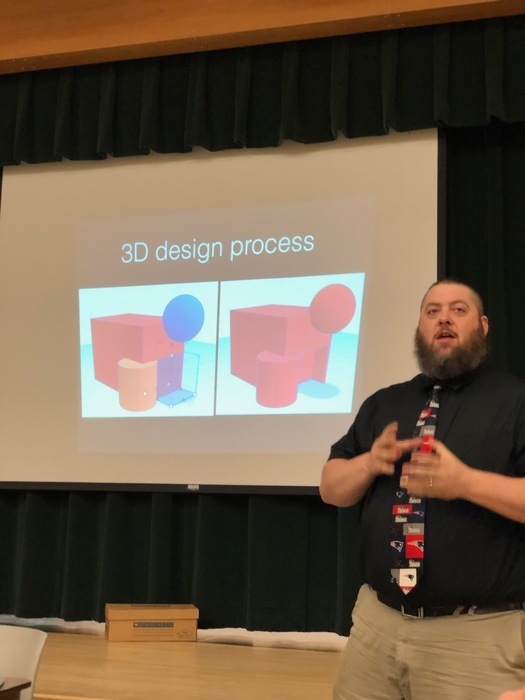 Windsor teacher Mike Praschak and Palermo Learning Commons facilitator Diane Carrillo show the RSU 12 school board how they are using 3D printers with students. 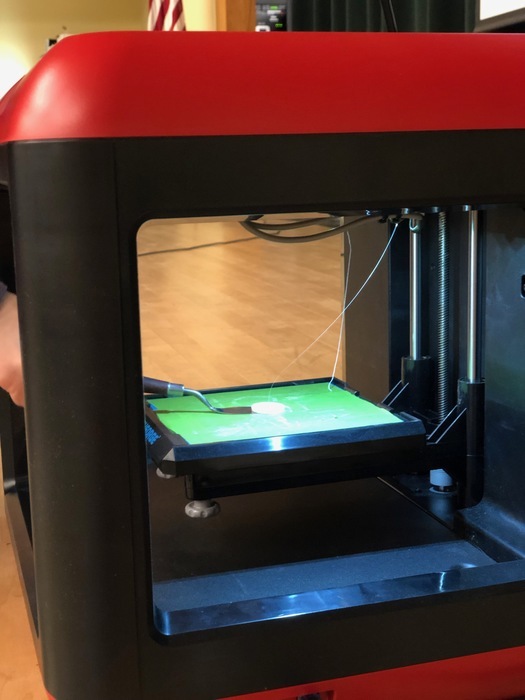 Thanks in large part to a generous donation from the Perloff Family Foundation, each of our schools have 3-D printers to support student learning and creativity! 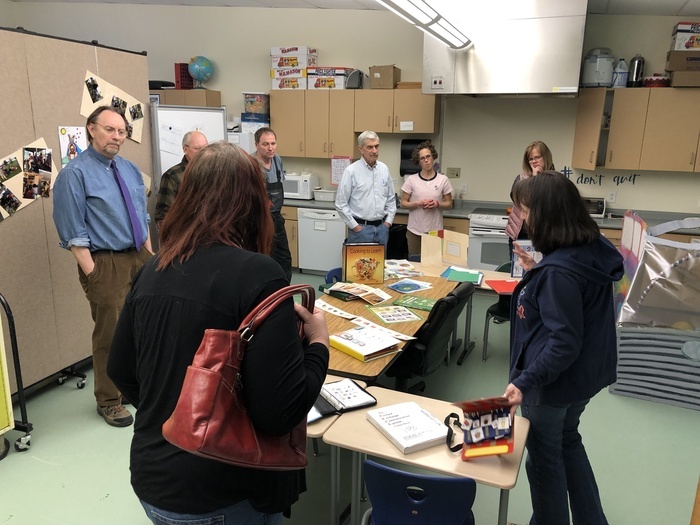 Chelsea student Paige Clark and nutrition staff member Stacy Boudreau work together to prepare for the 2019 Maine Farm to School Cook-Off. 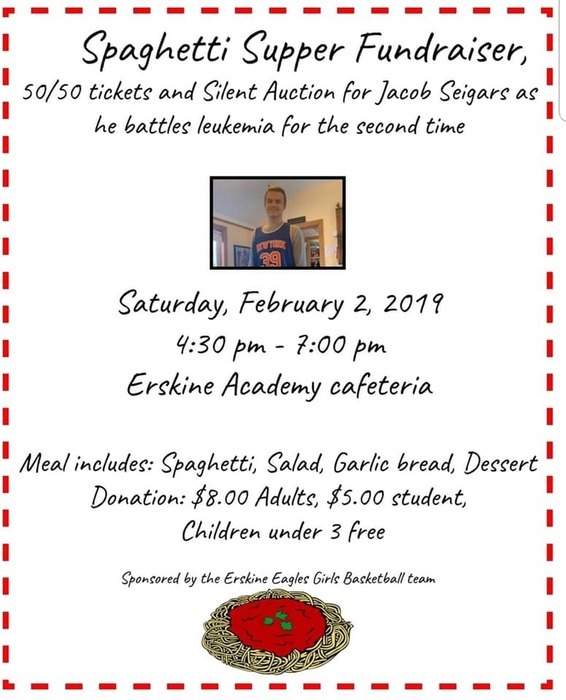 The competition takes place March 22 at RSU 1's Career and Technical Center in Bath. A school nutrition team member and student pair from each participating district compete to prepare one breakfast and one lunch meal. Each meal must be planned with two local ingredients that are grown, raised, caught or manufactured in Maine as well as one USDA food. Meals will be evaluated based on presentation, taste, creativity and feasibility to be used in a school nutrition program. RSU 12 Schools are closed today, Monday, March 4, 2019. 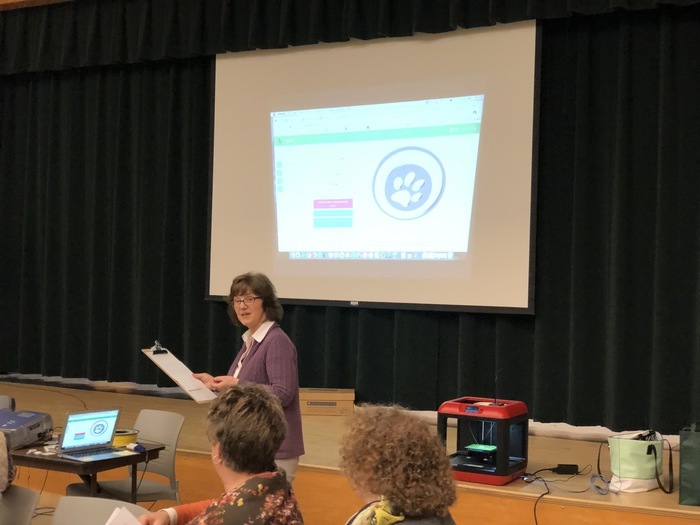 5th Grade Windsor teacher, Kim St. Onge, shared evidence of learning with the RSU 12 school board at their meeting last Thursday. 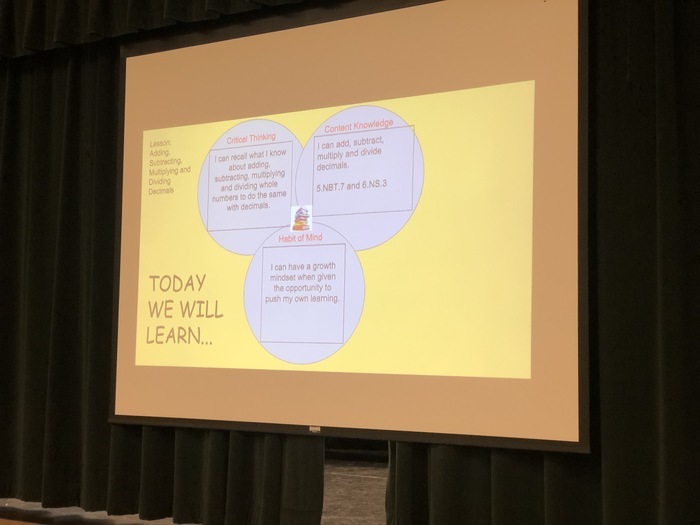 Kim explained how she is integrating habits of mind, complex reasoning, and content as she designs learning experiences for her students. 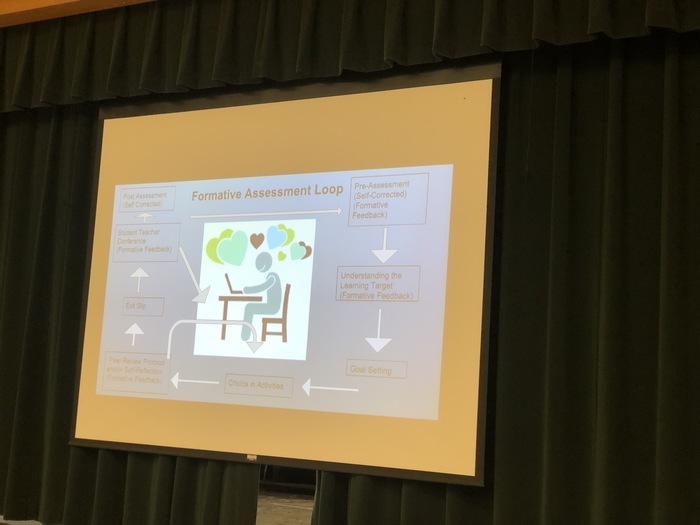 She showed examples of the ways in which her students are giving and receiving feedback and assessing their progress towards their learning goals. This was a great example of learners being supported to own their own learning! 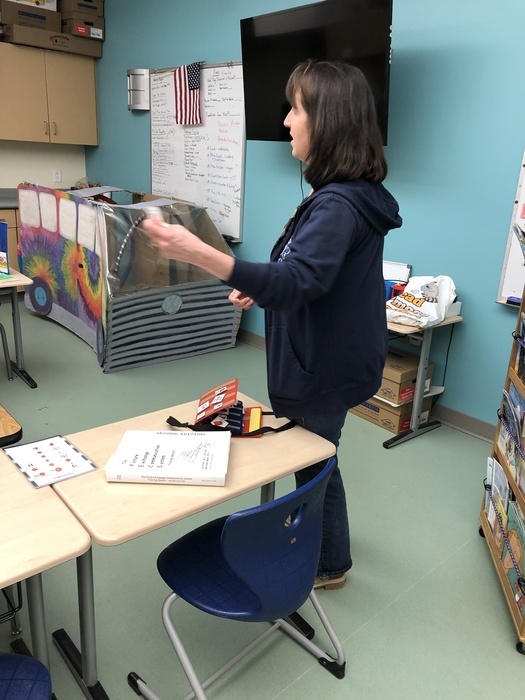 Thank you to Kim and to all of RSU 12's educators who work to support our students as they learn and grow! RSU 12 schools are closed today, Wednesday, February 13th. Update for January 30th. All RSU Schools will be closed today, January 30. 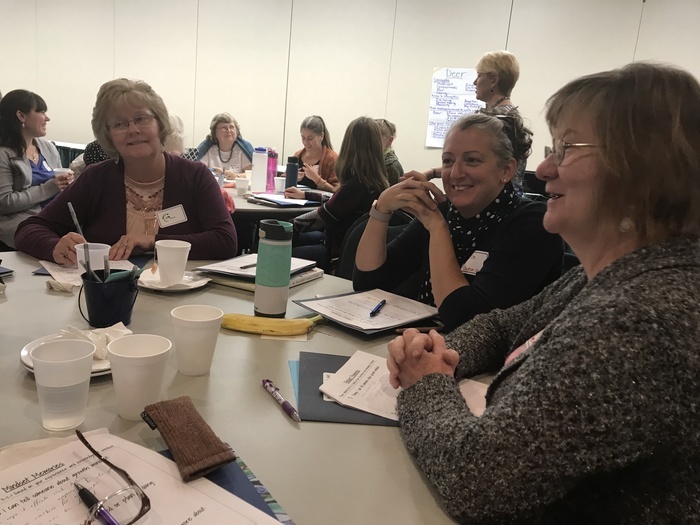 RSU 12 teachers and administrators spent a day at the Maine Mathematics and Science Alliance and learned how to better incorporate the eight mathematical practices into their instruction. These practices emphasize mathematical thinking and perseverance. We look forward to sharing what we learned with our colleagues and our students. All RSU 12 schools are closed today, January 9, 2018. All afterschool activities in RSU 12 schools are cancelled for this afternoon, December 17, 2018. Schools will dismiss at the normal time. RSU 12 schools are closed today, November 27, 2018. All RSU 12 schools are closed today, Tuesday, November 20th. All RSU 12 schools are closed today, Friday, November 16th. 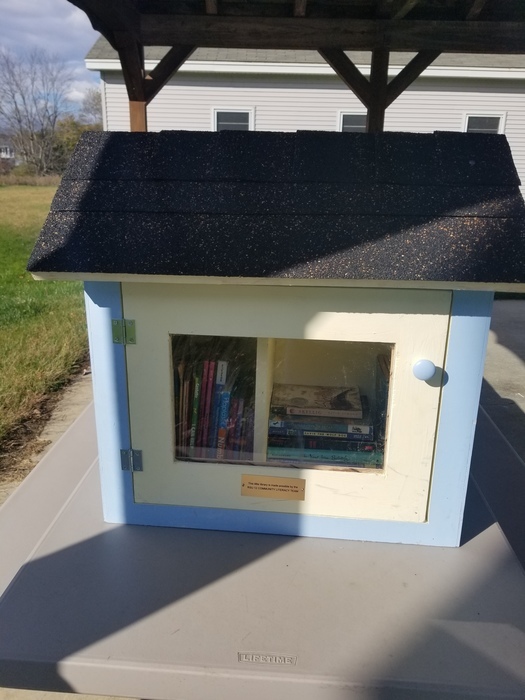 The RSU 12 Community Literacy Team, thanks to generous support from the Whitefield Lions Club and community volunteers, is working to install a small library in each of the towns in the RSU where people of all ages can access free books anytime of day. 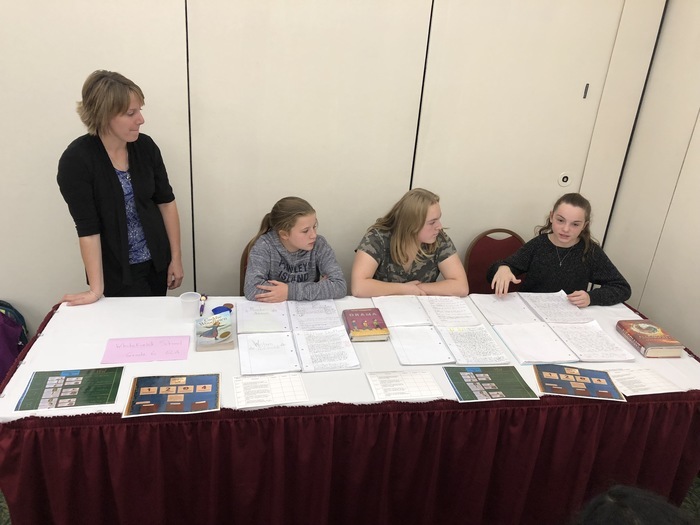 RSU 12 teachers and students presented to school board members and superintendents at the Maine School Management Association fall conference. They talked about how their learning integrates habits of mind, content, and complex reasoning skills. Thank you to Ava, Kennedie, and Kiara and to our teachers - Ms. Mathews, Ms. Brewer, Ms. Brown, and Ms. Beeckel! What a great job! 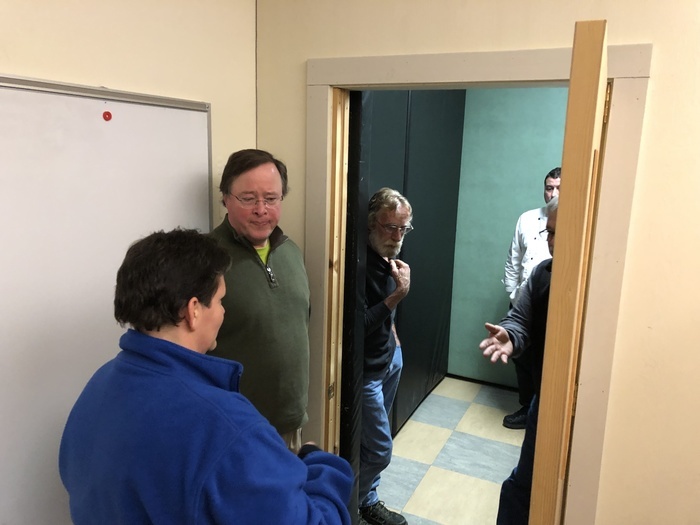 RSU 12's new Director of Student Nutrition Services, Mike Flynn, served a plant-based meal to RSU 12 Board members and the public at last night's Board Meeting. 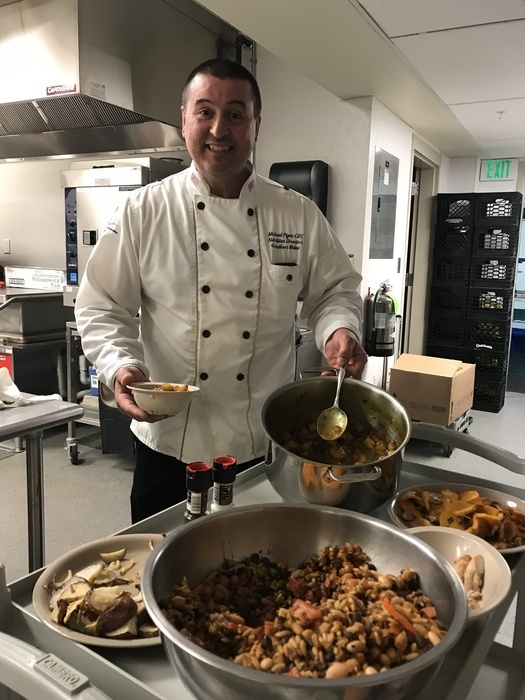 He is working to educate staff and students about healthy eating, to partner with local farms for local produce, and to ensure that our schools' breakfasts and lunches are satisfying and healthy. 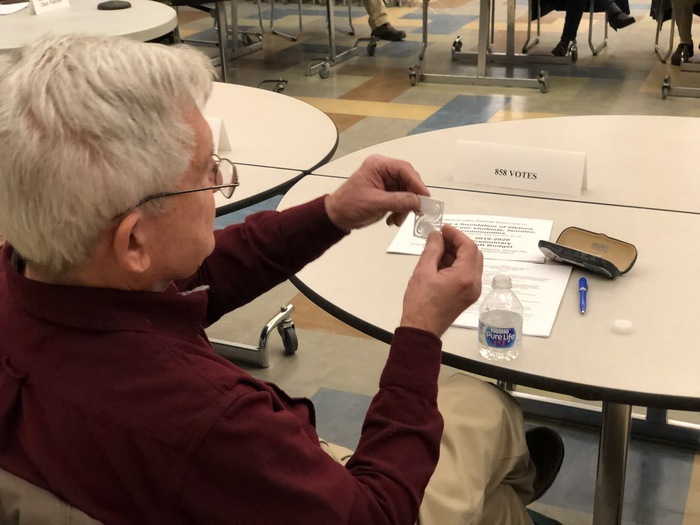 RSU 12 convened a Communications Focus Group this week to discuss parent and community communication needs and ways that the district could improve its communication efforts. 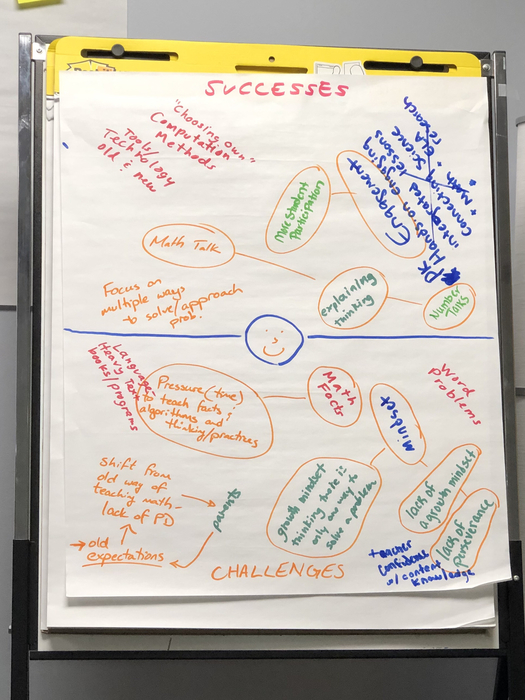 Parents and community members shared their ideas and experiences. Several themes emerged, most notably the desire to have consistency across classrooms and schools, to remember the importance of communicating to community members as well as parents, to invite volunteers into the schools, to create redundant communication methods, and to ensure hard copies of communications are available for those without Internet access. RSU 12 administrators are reviewing the feedback and working to develop a communication plan that addresses these issues. More information will come as this work continues. Tomorrow is our first student day in RSU 12 schools! We are excited to see our students and are looking forward to a great school year! Today is voting day. Don’t forget to vote! The RSU 12 District Budget Meeting will take place tomorrow, Thursday, May 17, 2018, at 6:30pm, at the Chelsea Elementary School. All RSU 12 residents are encouraged to attend. All RSU 12 schools are closed today, March 14th. All RSU 12 schools are closed today, March 13th. All RSU 12 Board meetings are cancelled tonight, March 8th. All RSU 12 schools will be closed tomorrow, March 8th due to the snowstorm. All RSU 12 schools will have a two hour delay this morning, February 8th. All RSU 12 schools will release early at 11:30am today, February 7th. All RSU 12 schools will have a two hour delay this morning, February 5th. All RSU 12 schools will have a two hour delay this morning, February 2nd. All RSU 12 schools are closed today, January 17th, due to the snowstorm. All after-school student events for all RSU 12 schools are cancelled this afternoon, January 8th. RSU 12 has an app! Visit the the App Store or Google Play on your mobile device to download our app. You can find it by searching RSU 12 or Sheepscot Valley. Jeff Vigue’s bus, number 27, will not start this morning. We are sending another bus. Windsor students riding this bus will be picked up one hour later this morning. Thank you. The snowstorm is moving in faster than expected. All RSU 12 schools are dismissing early today, December 22nd, at 11:30am. Due to the impending snow and ice storm, all RSU 12 schools are closed today. All RSU 12 schools are open tomorrow, November 6th. All schools have power and most roads are clear. Whitefield school still has many main roads that are impassable by a bus and unsafe for travel. Somerville school has no power. Both schools are closed today, November 3rd. Whitefield school has power, but many roads are still inaccessible. Somerville school still has no power. Final decision in the morning about opening these schools. Whitefield and Somerville schools have no power today. They are closed today, November 2nd. Chelsea, Windsor, and Palermo schools are open today. No bus transportation to inaccessible roads. All RSU 12 schools are closed today due to schools without power and inaccessible roads. Due to widespread power outages all schools in RSU 12 are closed today. All RSU 12 schools are closed. Due to widespread power outages, all schools in RSU 12 are closed today. All schools in RSU 12 are closed today. 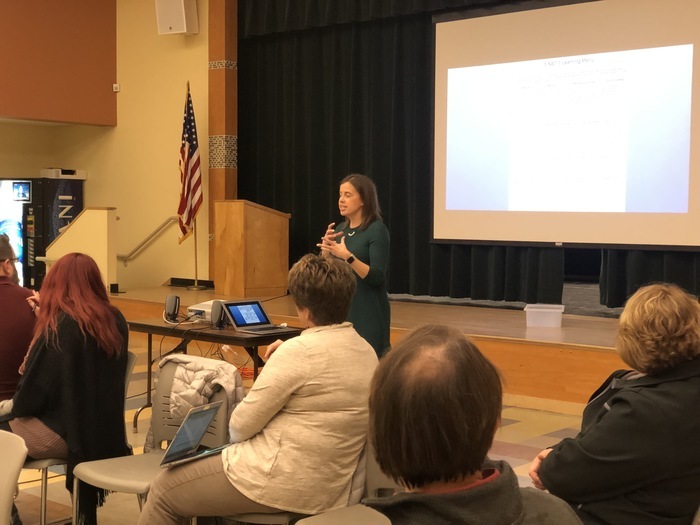 RSU 12 staff, alongside other teachers from around the State, learn how to help students develop a growth mindset and increase resiliency and perseverance. 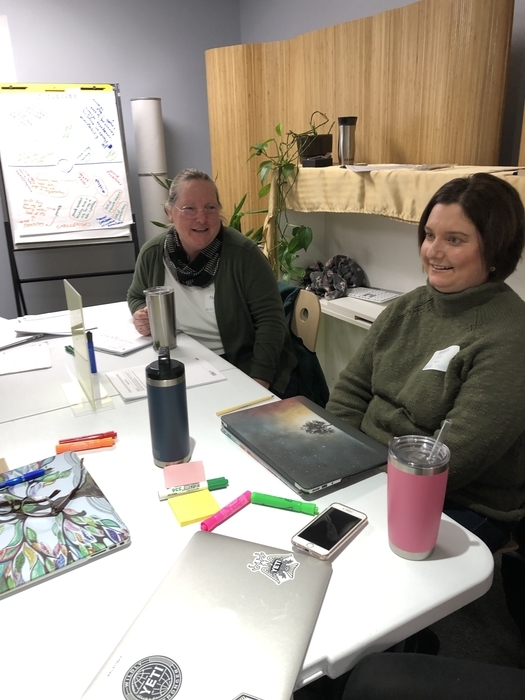 At the workshop day last Friday, RSU 12 educators learned how to help students develop effective habits of mind to support a lifetime of learning. We are still accepting new student registrations at Chelsea Elementary School for PreK. 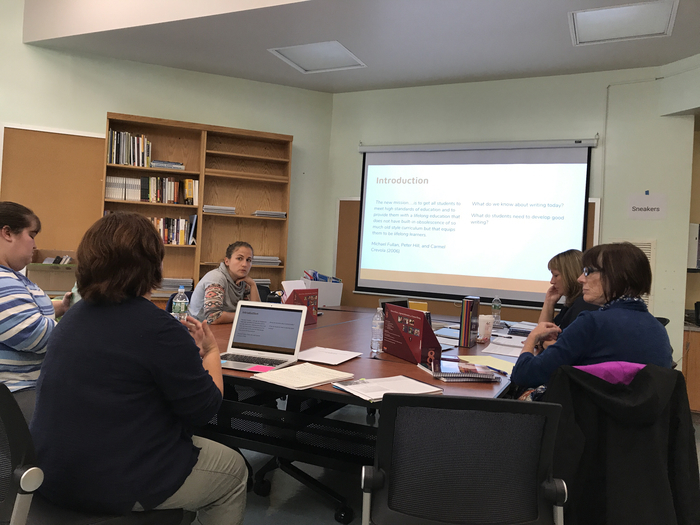 RSU 12's new teachers spend the day learning about the district's proficiency-based learning vision and the writing workshop. 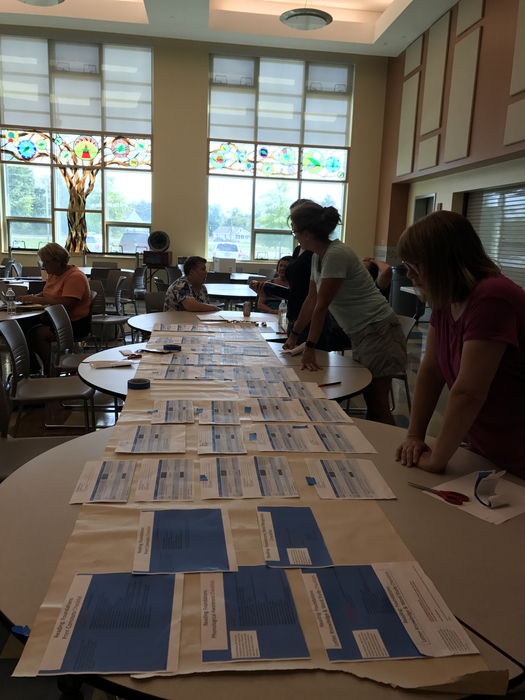 RSU 12 teachers and administrators map out a learning continuum to help personalize learning for students. RSU 12 teachers and administrators spent a couple summer days learning to use the writing workshop with our learners. 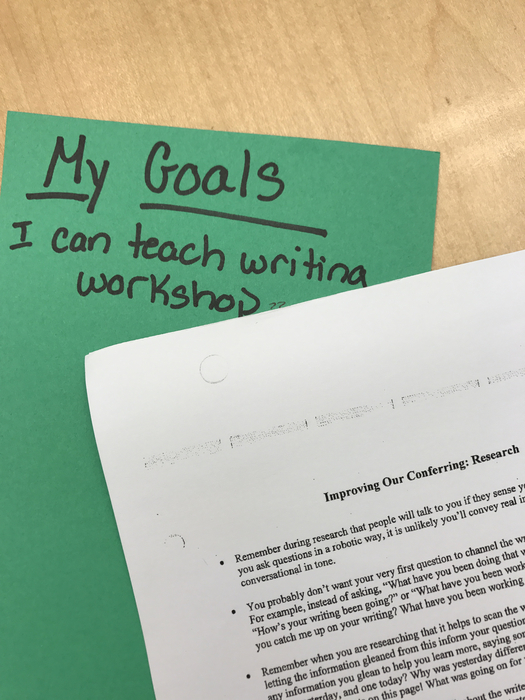 We practiced goal setting, minilessons, conferences, and more. We are excited to put what we learned to use in the classroom! The RSU 12 School Budget was approved with 69% of the vote. Strong schools make strong communities. Thank you for supporting the educational opportunities of RSU 12 students.